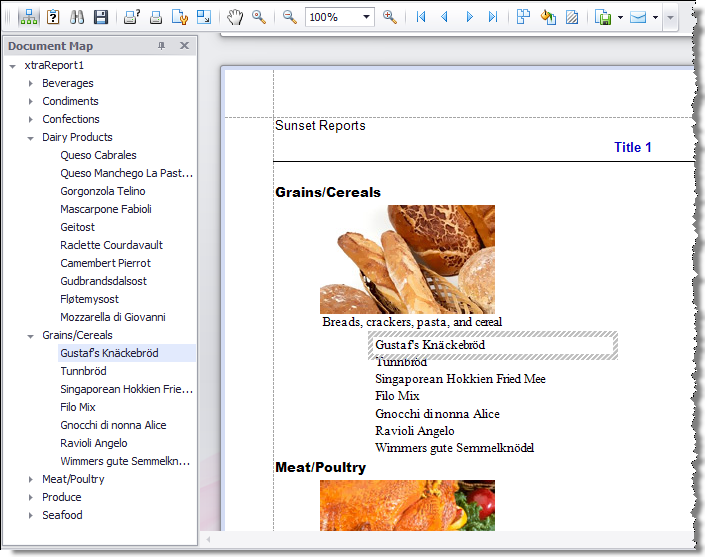 When viewing a report in the print preview window, you can simplify the navigation through complex and hierarchial reports by using a document map. This map shows the hierarchy of the report bookmarks in a tree structure. 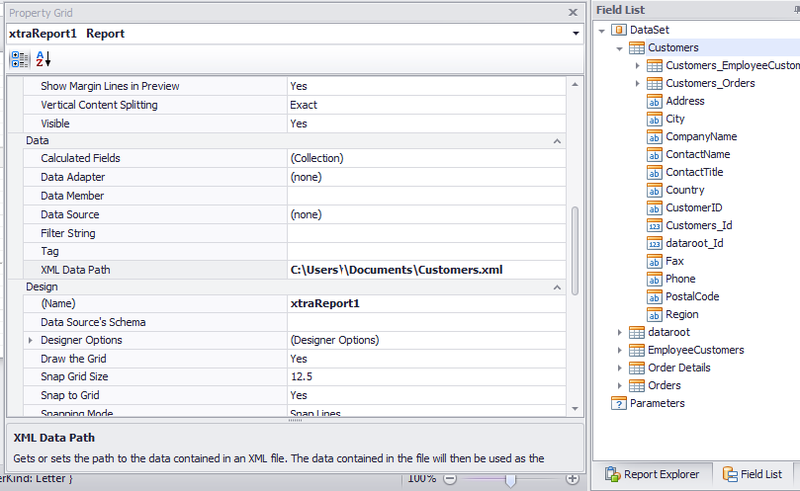 If the current report has a data source, the Bookmark property can be bound to a data field, obtained from the data source. To do this, expand the (Data Bindings) property, and in the Bookmark.Binding dropdown selector, select the required data field. Both imperial (inches) and metric (centimeters) units of measurement are available for your report design. By changing one report property, you can switch between these measuring systems for the entire report. Sunset Reports can work as a great tool for viewing reports on mobile devices like the iPhone, iPad, or other smartphone via Email, FTP, or Web pages. The Push/Pull capabilities via Email and the report server function in Sunset Reports provides everything you need for viewing reports. Report design is best handled on the Windows based hardware where the databases generally reside. The PDF’s generated by Sunset Reports can be sent to your iPhone and iPad and they look great and are easy to view using iBooks. A good scenerio used by many users is to receive reports from Sunset Reports each morning via email on their iPad. The email comes to you when you are at home when you are connected via WiFi. Then when you leave for the day, your iPad has the reports you need without an internet connection. This process works great. You never have to wait for your reports to run or download. They are there when you need them and the PDF quality is wonderful. You can even forward or share the reports as necessary.